From Underground Toys! "I'm a Mr. Potato Head now. Mr. Potato Heads are cool." The Eleventh Doctor as played by "MASH" Smith! Hop in the TARDIS with Mr. 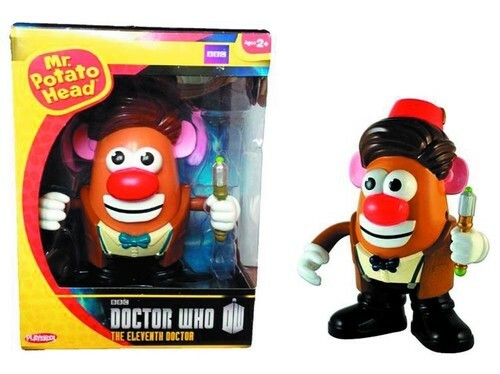 Potato Head as he pays homage to the last known survivor of "Galli-Fry," Doctor Who in his quirky eleventh incarnation! Set comes complete with 8 removable parts and pieces.